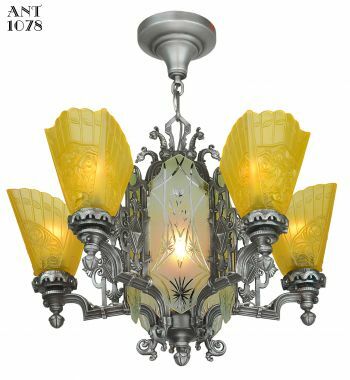 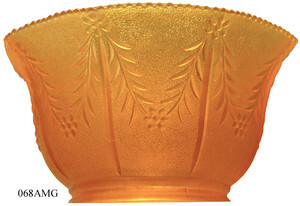 Economical pressed glass shade, still has lots of character and charm. Simple laurel wreath design would work with almost every period decor, from Colonial through Arts & Crafts. 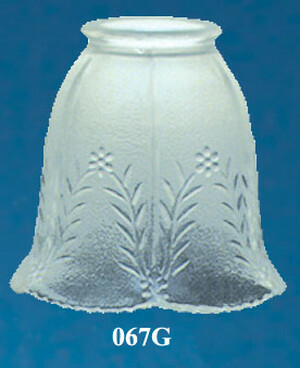 Clear glass allows maximum light into the room. 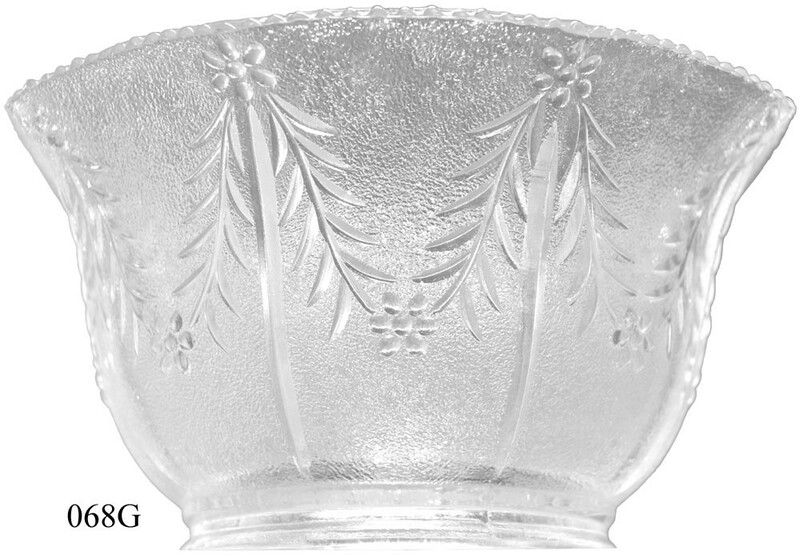 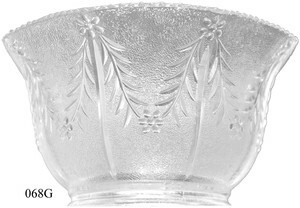 Ideal for collectors of "Depression Glass", too, as it blends with the simple lines of this popular dishware.